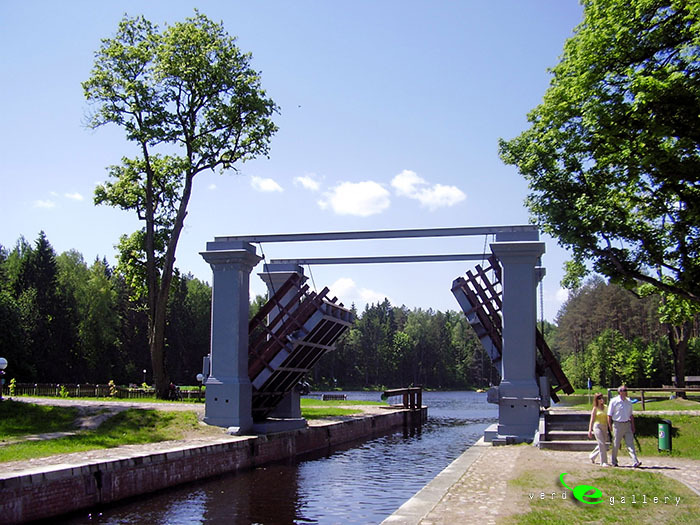 The Augustów Canal (Polish: Kanał Augustowski) is a cross-border canal built in the 19th century in present-day north-eastern Poland and north-western Belarus (then part of Congress Poland and the Russian Empire). It is a navigable watershed canal, linking the Vistula River with the Neman River. 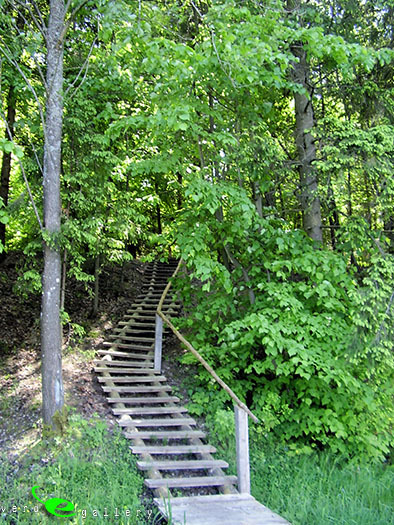 It is a conservation protection zone proposed by Poland for inscription onto the World Heritage List of UNESCO. The canal was constructed for political and economic reasons. In 1821 Prussia unilaterally introduced repressively high customs duties for transit of Polish and Lithuanian goods through its territory, practically blocking the access to the sea for Polish traders operating outside of Prussian-controlled territory. In 1823-1839 a waterway designed by General Ignacy Prądzyński, French General and engineer Jan Chrzciciel de Grandville Malletski and General Jan Paweł Lelewel was constructed, including buildings and hydraulic engineering structures, intended to bypass Prussian territory and link the center of the Congress Kingdom of Poland with Latvian ports on the Baltic Sea. The idea of Polish Minister of Economy, Franciszek Ksawery Drucki-Lubecki, was to make the new trade route independent of Prussian control over the seaport of Gdańsk. The partly constructed canal had become enough of a reason for Poland to win the ‘customs war’ with Prussia. Consequently, the building of the final ‘windawski’ section of the waterway, which was to connect the new trading route with the Latvian seaport of Ventspils (Polish: Windawa), was relinquished. The unrest caused by the November Uprising against Russia contributed to it. The completed part of the Augustów Canal remained an inland waterway of local significance used for commercial shipping and to transport wood to and from the Vistula and Neman. Between the World Wars the canal became a tourist attraction for the first time. It was a picturesque tourist route providing excellent sporting opportunities for canoeists, sailors and boaters, which continues to be the function of the Polish section of the canal. 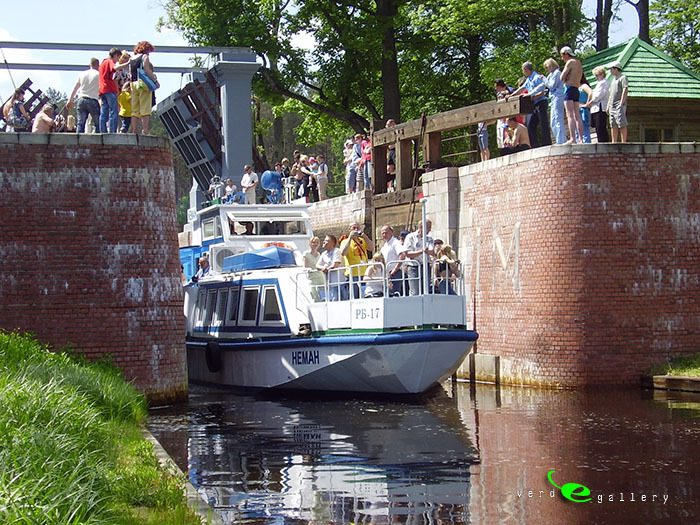 Plans to change the Belarusian part of the Canal into a tourist destination are under development. From the time it was first built, the canal was described by experts as a technological marvel, with numerous sluices contributing to its aesthetic appeal. It was the first waterway in Central Europe to provide a direct link between the two major rivers, Vistula and Neman, and it provided a link with the Black Sea to the south through the Oginski Canal, Dnieper River, Berezina Canal and Dvina River. The canal utilizes a postglacial depression and numerous valleys. 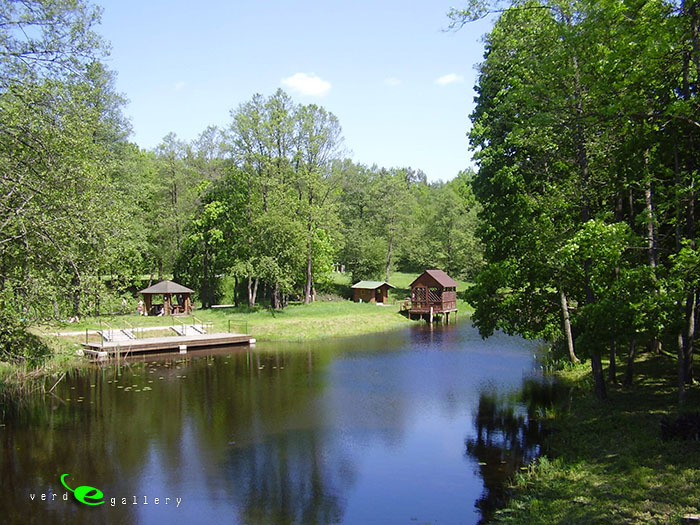 It is based in the long natural chain of Augustów lakes and the adjoining rivers. The qualities of the landscape made it possible to perfectly integrate the canal with its environment over its 101.20 km length. 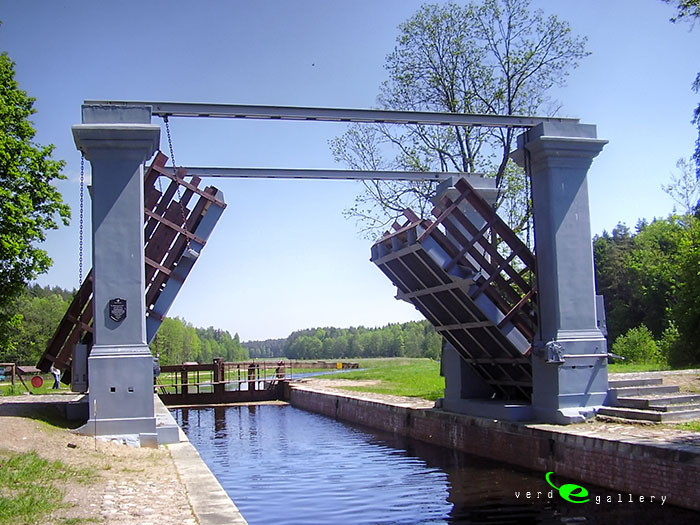 The watershed area of the canal on the Polish side of the border is 74.25 km² (according to UNESCO), and on the Belarusian side, 8.42 km², a total of 82.67 km². The canal connects seven natural lakes: Necko, Białe, Studzieniczne, Orle, Paniewo, Krzywe and Mikaszewo; and 11 rivers: Biebrza, Netta, Czarna Hańcza, Klonownica, Plaska (Sucha Rzeczka, Serwianka), Mikaszówka, Perkucia, Szlamica, Wolkuszanka, Ostaszanka and Neman. The natural waterways are interconnected by cuttings and hydraulic installations with locks and weirs, including towpaths along the canal bank and a system of roads, bridges and buildings. 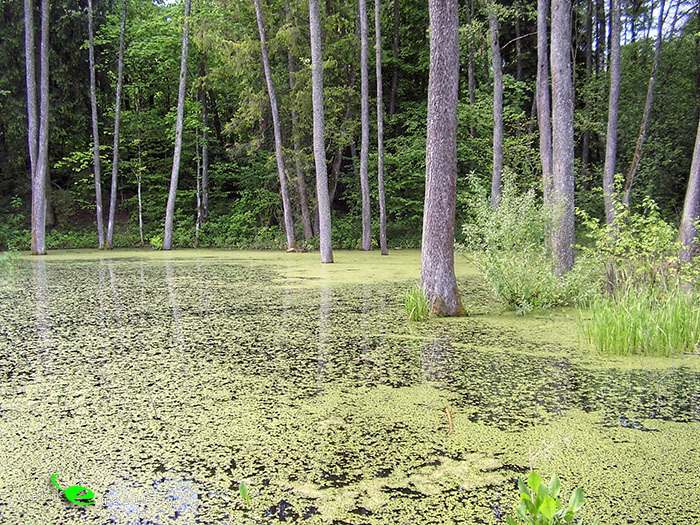 A water reserve feeding the canal is provided from outside the buffer zone by the Sajno, Serwy and Wigry lakes, all within the boundaries of the protected area. 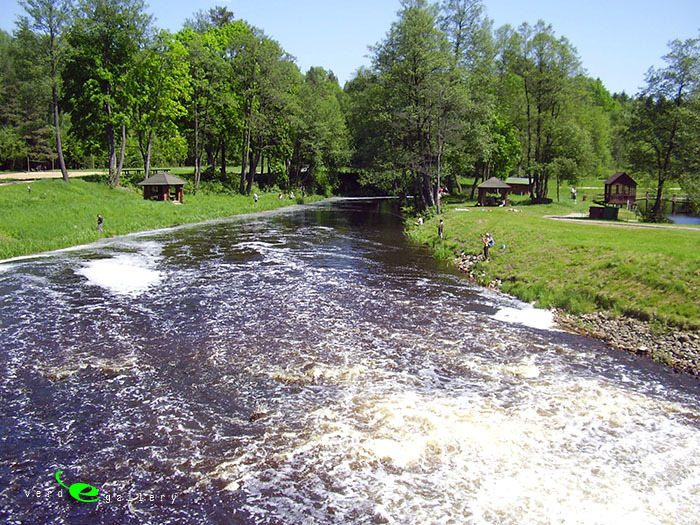 Six historic sluices, Przewięź, Paniewo, Perkuć, Sosnówek, Tartak and Kudrynki, are easy to access from the green trail used by hikers and cyclists. The canal offers numerous sightseeing and tourist attractions. 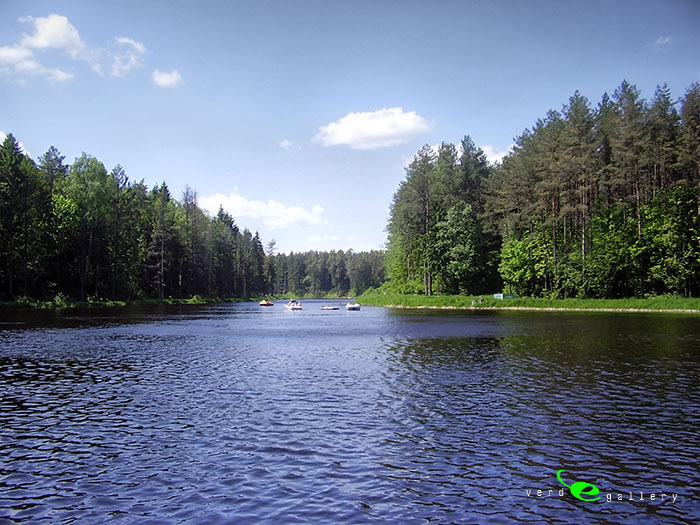 Its unsurpassed beauty comes from the natural qualities of the landscape with coniferous forests and lakes, especially around the Biebrza and Netta Rivers, and it runs through the Augustów Primeval Forest from west to east. The biggest attraction is to navigate the waterway in a kayak, canoe, fishing boat or a motorboat. 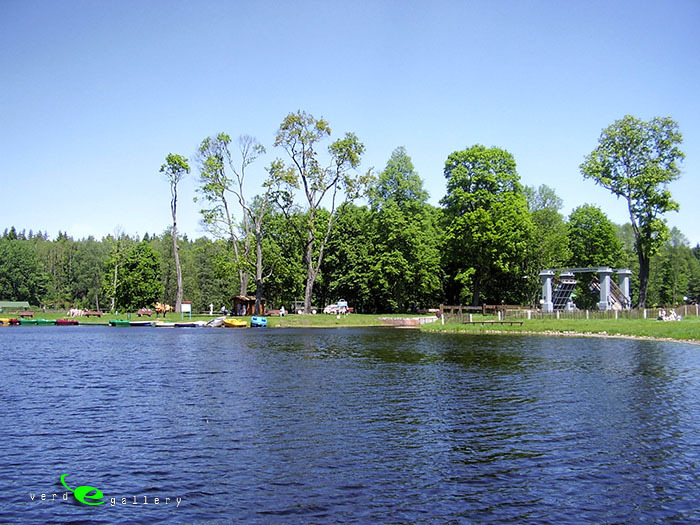 It is also possible to visit part of the canal and the Augustów lakes in a passenger ship. 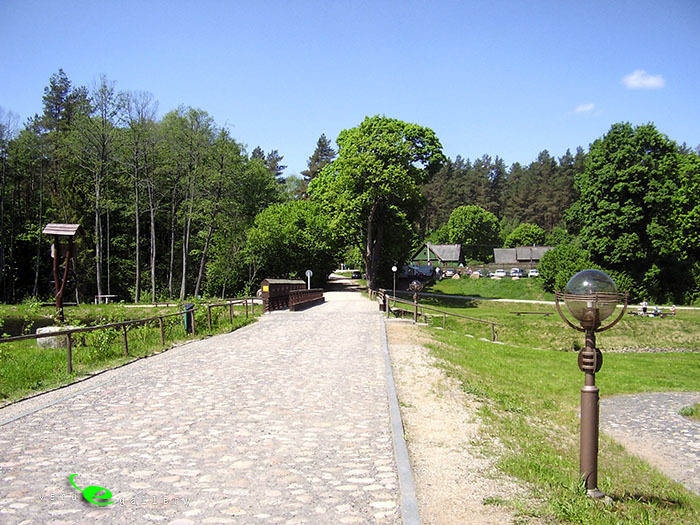 A segment of the Polish-Belarusan border runs along the axis of the Kurzyniec sluice and further along the axis of the canal for 3.5 km. 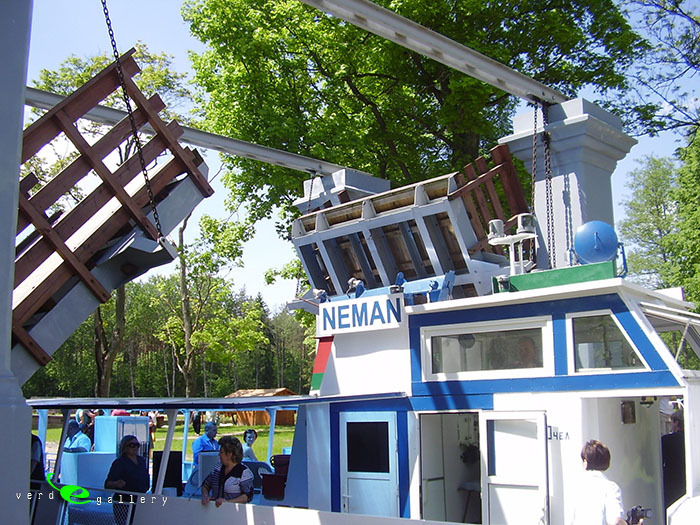 Pictures have been taken on 23 of May, 2010 and added to Augustowski canal photo gallery.